You're pregnant. Congratulations! This will truly be one of the most exciting times of your life. 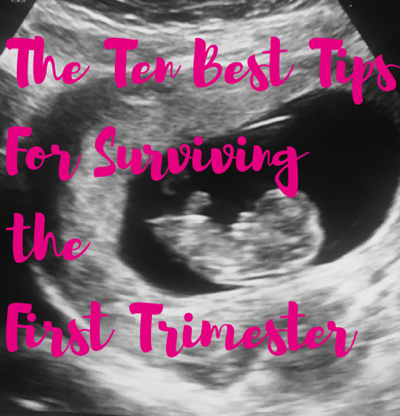 Whether this is your first or fifth, you've heard or experienced first hand, that the first trimester is not all its cracked up to be. Take heart, because it doesn't have to be that bad, and even if it is, well, it'll be over sooner or later! Always be snacking. Try not to let your stomach get empty, because that is when the nausea hits! Even if you don't feel like eating, or if nothing sounds good, munch on a little snack. Leave crackers by your bed. If you wake up in the night feeling yucky, eat a few. Also, eat one when you wake up, whether you feel nauseous or not. The best snack for me was popcorn. I carried a bag of it around with me everywhere and it was my saving grace! My favorite is Skinny Pop popcorn. It has a minimal amount of salt and no fake butter on it. They say ginger helps, but I can't stand most ginger flavored things. If you are like me, try gingerbread cookies! The Pepperidge Farms Gingerman cookies seemed to help me, even if it was just because I was eating and not really due to the ginger, ha! Eat what you can. If crackers and carbs are all that sound good or all that you can handle, that's ok! Your baby will be fine. Just focus on feeling better and eating something! If you can, nap! I had crazy dreams with my first pregnancy and awful insomnia with both. When I was tired, I was more apt to be nauseous. Days that I was able to squeeze a nap in, I felt better. I am fortunate that my little still takes naps, so I nap with her a few days a week. If you feel up to it, get out and do something active. When I was busy and distracted, I usually felt a little better. Of course, always bring snacks with you! Drink lots of water! I was constantly thirsty and had to carry a water bottle with me everywhere. I also notice that if I don't drink enough water, I feel crampy and uncomfortable. Later on in pregnancy, I find it brings on Braxton Hicks. So drink up! TRY to take it easy. What better excuse to be a little lazy than growing a baby? Luckily, my daughter was very sympathetic when I didn't feel good and when I say that, I mean she complained of her own "sympathy pains". We spent lots of times cuddled up in bed because "baby was making us feel sick" haha! She still tells me this when she wants to lay in bed and watch T.V. 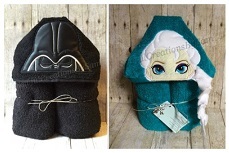 Take up a crafty hobby. I knit and crochet, and found that when I was concentrating on knitting a baby blanket, I was less apt to feel sick. Distraction helps! Hope that I shared some good ideas with you and that you are feeling well in your first trimester! Here's hoping that the second trimester is more enjoyable for us all!